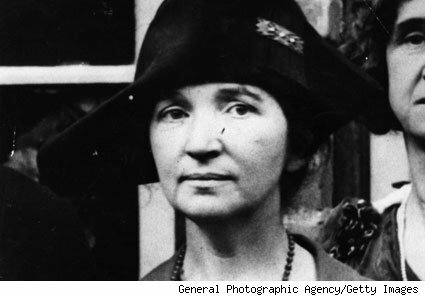 The iconic feminist hero Margaret Sanger, who also founded Planned Parenthood, was an adamant adversary to charities towards the poor and disabled. "Even if we accept organized charity at its own valuation, and grantthat it does the best it can, it is exposed to a more profoundcriticism. It reveals a fundamental and irremediable defect. Itsvery success, its very efficiency, its very necessity to the socialorder, are themselves the most unanswerable indictment. Organizedcharity itself is the symptom of a malignant social disease. Those vast, complex, interrelated organizations aiming to control andto diminish the spread of misery and destitution and all the menacingevils that spring out of this sinisterly fertile soil, are the surestsign that our civilization has bred, is breeding and is perpetuatingconstantly increasing numbers of defectives, delinquents anddependents. My criticism, therefore, is not directed at the``failure'' of philanthropy, but rather at its success."